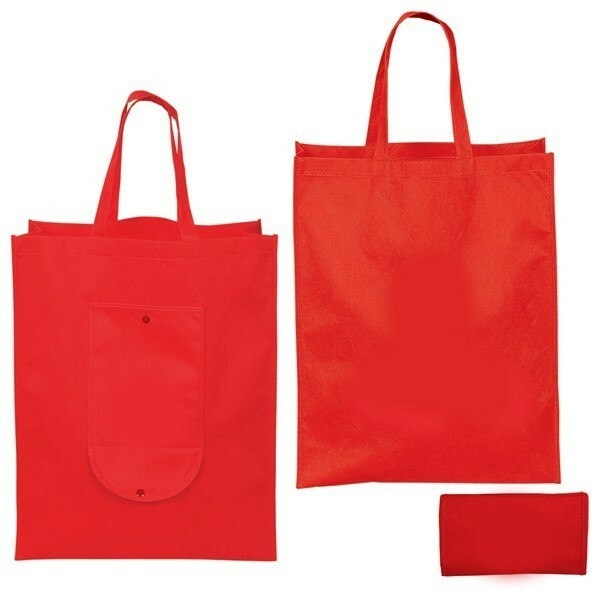 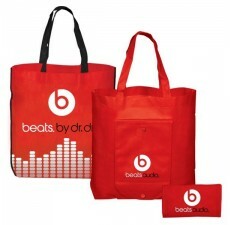 Durable folding wholesale recycled shopping bags are great for toting around just about anything. 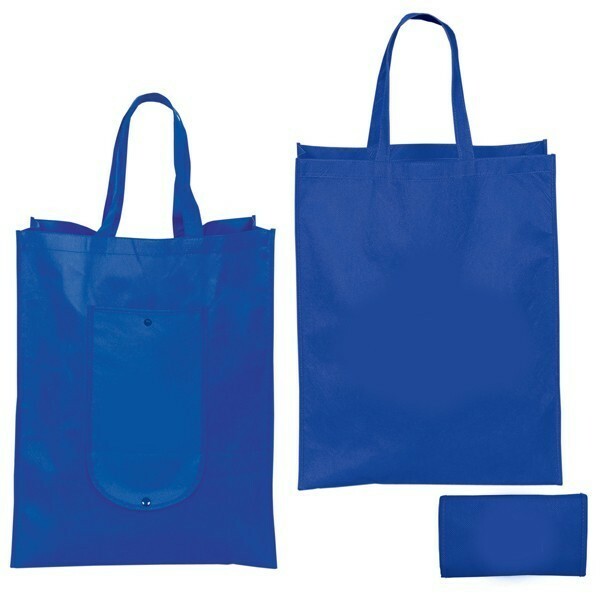 Made of recycled non-woven Polypropylene material, they are easy to clean and durable. 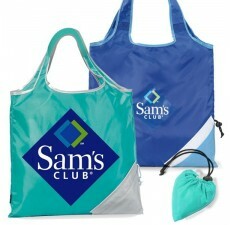 Customize with your logo today! 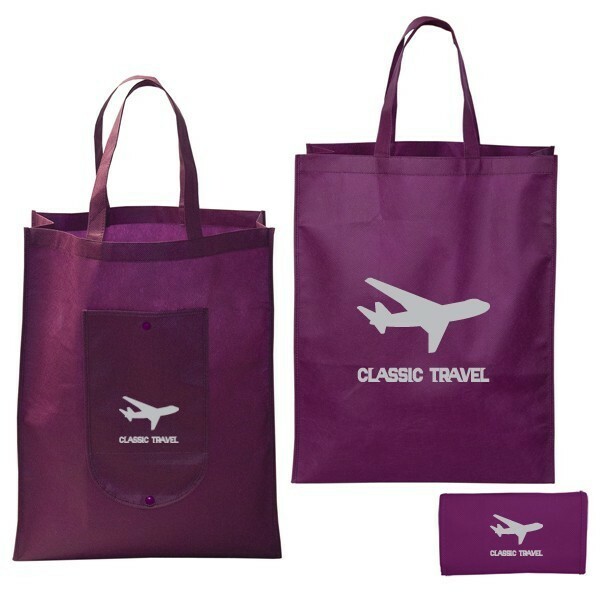 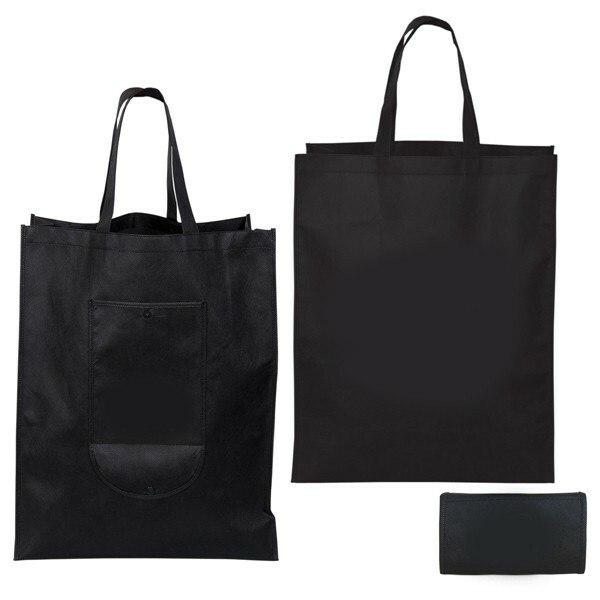 This handy-sized custom tote bag offered by Custom Grocery Bags folds into its own pouch, making it an ideal replacement for plastic shopping bags. 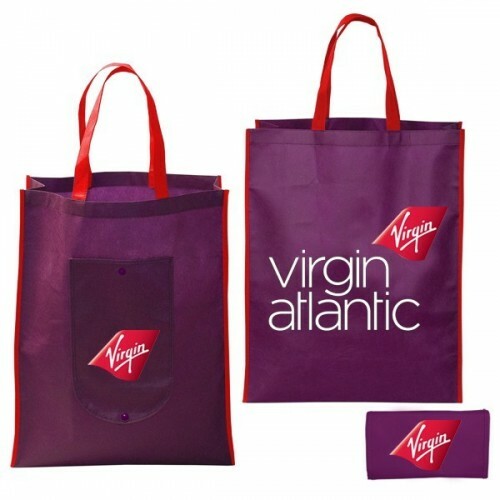 What makes this tote unique is that even when folded it shows your brand’s unique logo on its front lower pocket. 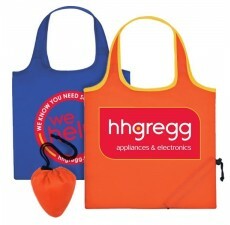 This feature will allow you to show your design even when snapped into its pouch. This bag is made of polypropylene and contains two self-material shoulder straps. 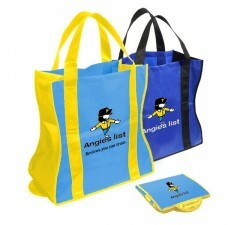 If you are interested in buying them in bulk, don’t hesitate to let us know so we can provide you with all the necessary information.